Home » Shooting Gear » Black Rifle Acc. The sleek, modern designs of Aim Sports' AR-15 free-float M-Lok handguard offers such features as a U.S.-made steel barrel nut, and built-in, machined anti-rotation tabs. Cut for weight reduction and meticulously engineered to be ultra light, this system retains the utmost in robust construction, with a 1913-Picatinny top rail mounting system and seven rows of M-Lok mounting surface for ultimate modularity attachment points for all your M-Lok accessories. The AR-15 free-float M-Lok handguard wor.. 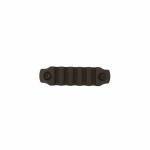 Finish Black Anodized Material Aluminum Dimensions 6.8 x 1.0 x .43 Weight 1.11 oz .. 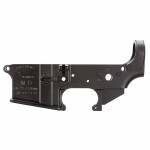 This is an Anderson Manufacturing stripped lower. It weighs aproximately 1 pound and is made for the AR-15. 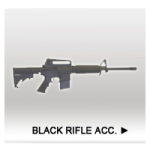 Type :Lower Receiver Gun Model :AR-15 Gun Type :AR Platform Caliber :MULTI - 223 Remington/5.56 NATO, .300blk Material :7075 T6 Aluminum Finish :Black Trigger :None .. The oops Kit comes with the Springs and Detents that can easily get misplaced when you are installing them and/or replacing them. Included in this Oops! kit are the following items: Bolt Catch Detent Bolt Catch Pin 3/32″ x 1/2″ Coiled Pin Bolt Catch Spring Buffer Detent Buffer Detent Spring Disconnect Spring Magazine Catch Spring for AR15 Safety Selector Detent for AR15 Safety Selector Spring Take Down Pivot Pin Detent (2 needed per rifle) Detent Take Down Spring (2 needed per rif..
Anderson Rifles AR Carrying Handle. AR Carrying Handle Adapter with built-in A2 style rear sight. Adapts to any flat top receiver configuration with a quick detach design. 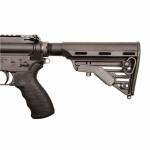 Weighs 1 lb 7" x 1.5" x 2" ..
Anderson Rifles AR15-A3 Upper Receiver with Dust Cover and Forward Assist. Black hard anodized military spec AR15-A3 upper receiver with M4 feed ramps, forward assist and ejection port cover installed. .. The Gen 2 Lower Parts Kit features a new lightweight design on the hammer & trigger. The Hammer features a new catch design. The hammer and trigger are both made from 420 stainless steel. This Lower Parts Kit includes the following: Bolt Catch Bolt Catch Plunger Bolt Catch Roll Pin Bolt Catch Spring Buffer Retainer Buffer Retainer Spring Disconnect Disconnect Spring 420 Stainless Steel Stainless Steel Hammer Hammer Pin Hammer Spring Magazine Catch Magazine Catch Button Magazi.. The Advanced Technology AR-15 military buffer tube assembly package fits most AR-15 and AR variants. It features a 6-position, hard-coat anodized 6061-T6 aluminum buffer tube with mil-spec thread diameter of 1.19" and mil-spec tube diameter of 1.15". This assembly also comes with an AR-15 recoil plug, buffer spring, and a steel, military Grade E-coated castle nut and locking ring. 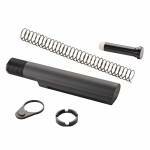 Model AR-15 Series Buffer Tube Assembly Type Buffer Tube Package Finish Black Hardcoat Anodized Mat..
BCM Gunfighter KeyMod 1913 Picatinny Rail - 3" - 5 Slot Aluminum, Black. Rail section is made of Hard Anodized Aircraft Aluminum Alloy Mounting hardware is made of corrosion resistant stainless steel Made to Mil-Standard 1913 Picatinny Aresenal Specifications Snag resistant design Self-contained assembly eliminates the possible loss of mounting hardware Fits ALL KeyMod interface mounting surfaces ..
BCM Gunfighter KeyMod 1913 Picatinny Rail - 3" - 5 Slot Nylon, Black. Rail section is made of lightweight impact resistant polymer Mounting hardware is made of corrosion resistant stainless steel Made to Mil-Standard 1913 Picatinny Aresenal Specifications Snag resistant design Self-contained assembly eliminates the possible loss of mounting hardware Fits ALL KeyMod interface mounting surfaces ..
Bravo Company USA Mil-Spec Carbine Stock Hardware Mounting Kit. This kit contains all the necessary parts to mount your Mil-Spec dimension stock assembly to your lower receiver. 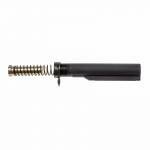 Standard Carbine Buffer 2.9 oz Receiver Extension - Mil-Spec, 6 position (machined from 7075T6) Receiver End Plate Lock Nut (Castle) M4 Action Spring, Carbine Buffer Assembly, Carbine Std (options for H, H2) This kit is compatible with the plastic stocks from; BCM, VLTOR, LMT, Magpul CTR-M, Stag Arms,..
Blackhawk Rear Adjustable Carbine Rifle Stock - Black. Reinforced polymer stock for commercial-sized (1.170") carbine tubes. 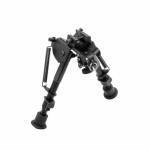 Ambidextrous sling mouting locations with preinstalled 1" quick-detach sling swivel. Precision fit allows for quick, smooth length adjustment. ..
Blackhawk Rear Adjustable Carbine Rifle Stock - Desert Tan. Reinforced polymer stock for commercial-sized (1.170") carbine tubes. 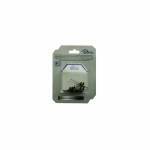 Ambidextrous sling mouting locations with preinstalled 1" quick-detach sling swivel. Precision fit allows for quick, smooth length adjustment. ..